Forget limits, the Toyota Tundra offers exceptional power and towing capacity while delivering the same durable design that Toyota’s are known for. You can’t afford to have a truck that will quit on the job, the Tundra was built to last like no other truck can. 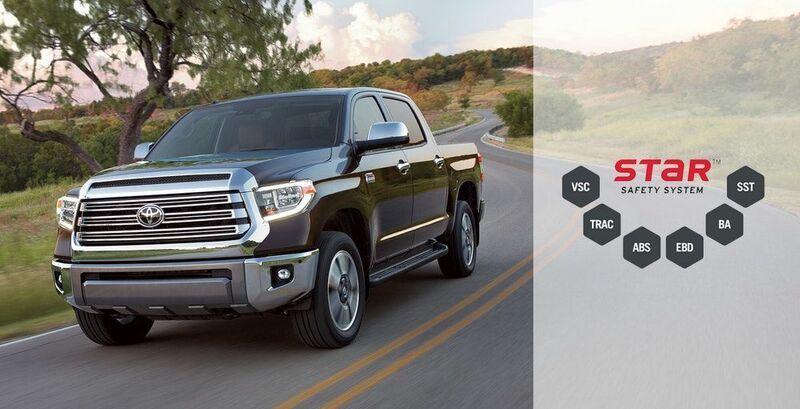 The 2019 Toyota Tundra comes with two engine options, either a 4.6-Liter V8 that produces 310 hp and 327 lb.-ft. Of torque, or a 5.7-Liter V8 that produces 381 hp and 401 lb.-ft. Of torque. 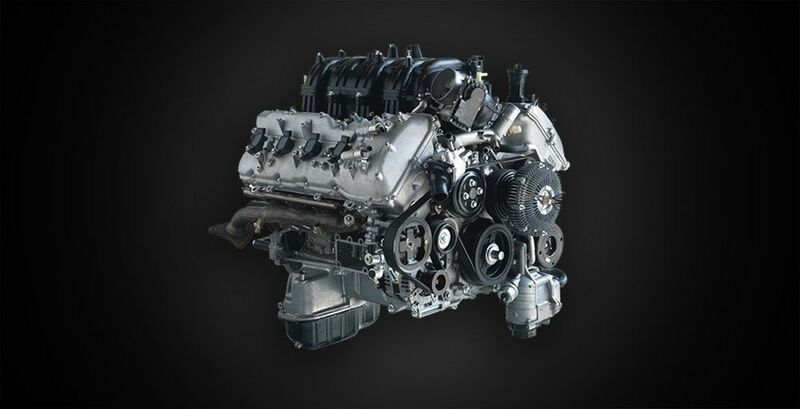 Naturally expect greater towing capacity with the larger 5.7 liter engine, but both engines are capable of towing well over 6000 lbs, with the larger engine having a towing capacity around 10,000 lbs. 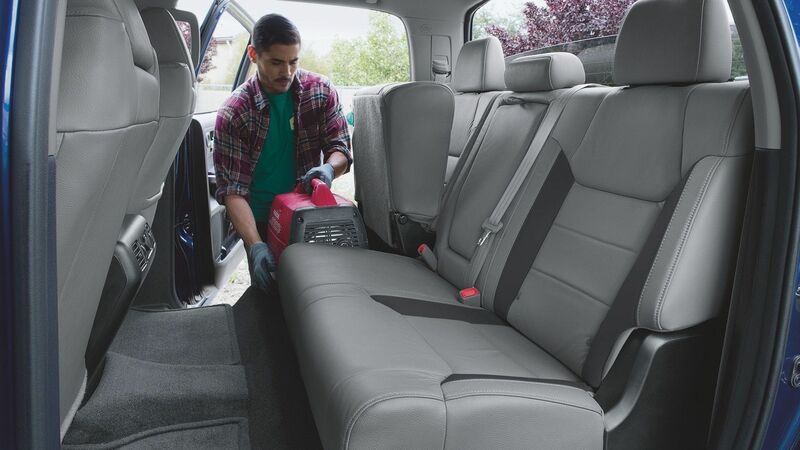 Not everything we load is intended to be put into the bed of a truck, for that reason the Tundra also comes with fold-up rear seats that increase the interior’s loading capacity. While you will have to opt for either a Double Cab or CrewMax style, you’ll gain a lot more interior space that not only allows you to carry more, but also makes it easier to load heavy equipment since you won’t have to carry it over the seat. Who said the inside of a truck can’t be a nice place to be? 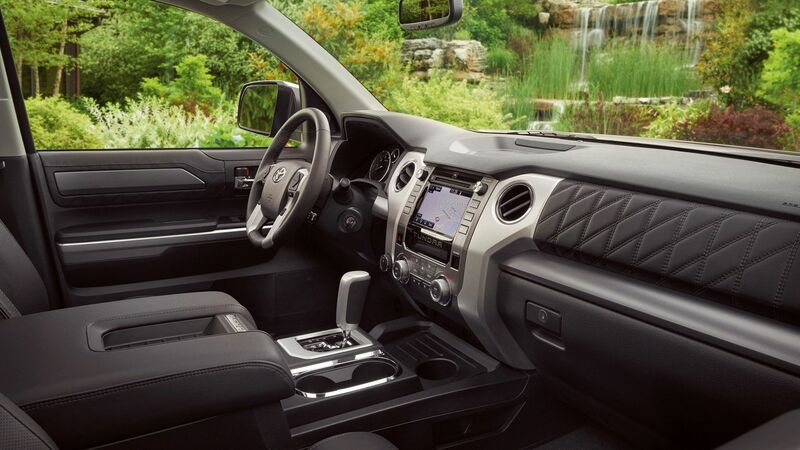 The inside of the Platinum Tundra features great, soft-touch materials and a spacious interior that no one would mind spending time in. With your choice of either a 6.1-in. or 7-in. Touch-screen, and optional upgraded premium sound system, or JBL Audio, the Toyota Tundra can be a spacious, luxurious, and fun place to be. 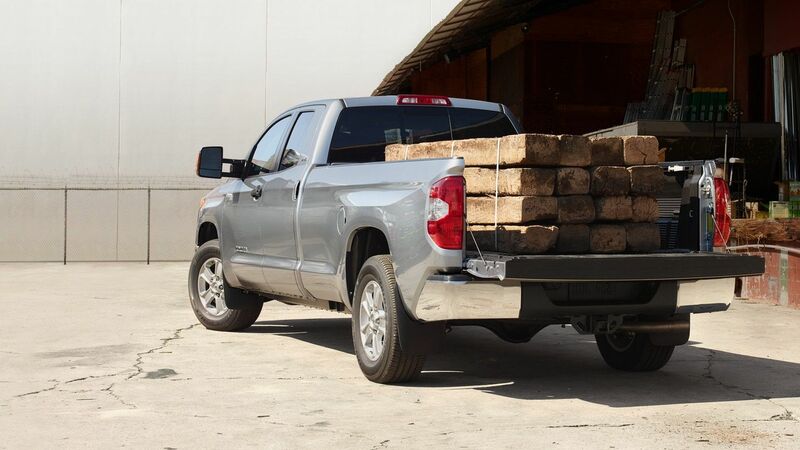 With a haul capacity of roughly 1600 lbs, the Toyota Tundra is a reliable workhorse that is capable of carrying everything you might need to and from the worksite, or even for the weekend getaway. Plus, with large 13.9-in. Front disc brakes and 13.6-in. 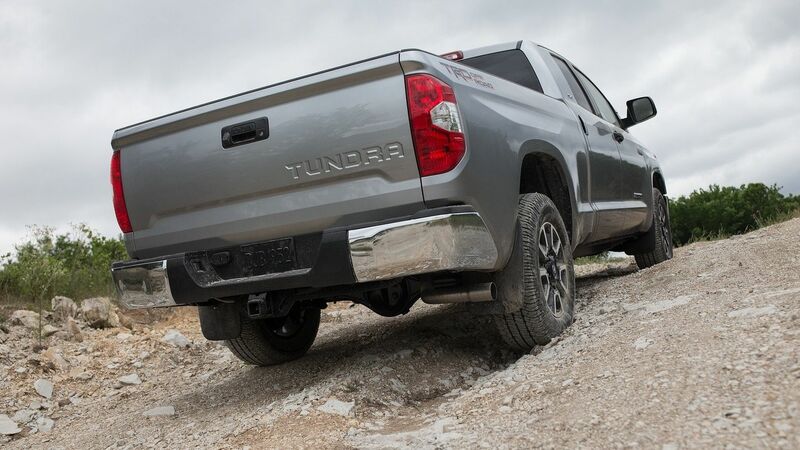 rear disc plates, the Tundra can stop even the heaviest of loads, whether you’re hauling or towing. Who says you can’t have a little fun with your truck? The TRD Pro line of Tundras come with everything you need to handle even the toughest of terrains. With 18-in. Forged BBS wheels, TRD-tuned FOX suspension, ¼-in. Aluminum skid plate, Rigid Industries fog lights, and leather-trimmed seating, the Tundra TRD Pro is ready for wherever you take it. It’s important to not just work hard, but be safe while you’re doing it. For that reason, the Toyota Tundra comes standard with a backup camera, Toyota Star Safety System, and Toyota Safety Sense. You also have great technologies that make it easier to tow and haul like the integrated Trailer Brake Controller, Trailer-Sway Control and the TOW/HAUL Mode and 4-/7-pin connector for connecting trailers.